The Washington County Sheriff’s Office wishes students and teachers a happy and safe start to the 2017-2018 school year! 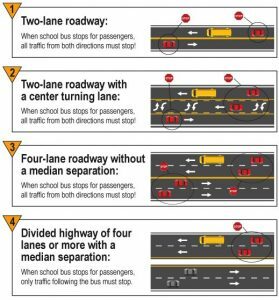 We are reminding motorists to be aware of school buses and students walking to and from school. Watch for school buses displaying their flashing, alternating red lights and know when the law requires the motorist to stop.